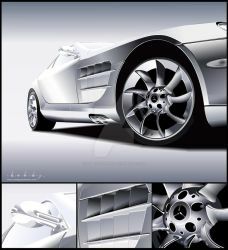 Mr. Varoom... thanks for investing in Mercedes SLR. I promise u as the CEO of MERC, that u will never regret this investment. Mr Bobby ford, thanks for offering me the post of CEO in MERC. You have bought our Ford Mustang GT500. We hope that you will enjoy riding it as much we enjoyed making it. PS: Keep it servicing regularly.